Choosing an inhaler, it is necessary to be guided by the purposes for which the instrument is purchased. Steam inhalers are treated with hot air, they cannot always be used for children, compressor and ultrasonic is effective devices of the aerosol type, but their price far exceeds steam. In all respiratory infections in addition to medication, many physicians recommend physiotherapy. Visit daily such treatments in the clinic is not very convenient. You can solve this problem by the purchase of a home inhaler. Inhaler - a device that allows the use of fewer drugs with the greatest benefit. Recovery is achieved faster due to the effects of drugs directly on the injured area, throat, nose. Steam inhalers use a variety of means – it could be a simple solution of sodium chloride, decoctions of various herbs, medicinal products, aromatic oils. The principle of operation of a steam inhaler is similar in effect to "grandma's" recipe a breath of svezhesvarennogo potatoes, covered with a blanket. Entering through a special mask pairs affects the entire nasopharynx and respiratory tract. In these models, you can also use various herbs and aromatic oils. But ultrasonic inhalations with drugs should spend wisely, as some medications lose their therapeutic effect under the influence of ultrasound. The device operates almost silently, which is useful for use in children. Has a compact size and the ability to work from batteries. These inhalers (nebulizers) work on the principle of the pump, delivering into the lungs and bronchi medication in aerosol form. Is cooked or manufactured is dependent on breaths. Compressor inhalers work in a fairly noisy and tend to be dimensions - the others are strong enough advantages, that is their downside. The choice of inhaler should be approached with the utmost seriousness. Compressor and ultrasonic inhalers-nebulizers have a longer life than steam. They are more expensive, but worth having in a family where there are people with chronic diseases of the upper respiratory tract, often suffering from laryngitis and rhinitis, patients with asthma and tuberculosis. They are also good helpers in families where there are small children. Homogeneous particle size of not more than 10 µm, obtained at the output of the nebulizers, have a maximum efficiency in the treatment of various respiratory tract. The smaller the particles, the deeper they penetrate. For children some manufacturers produce inhalers in the form of animals. Ultrasonic nebulizers are is ideal for those who travel a lot or spends time at the cottage, as they are compact and they do not always need an outlet. The downside is the need to periodically purchase replacement parts. 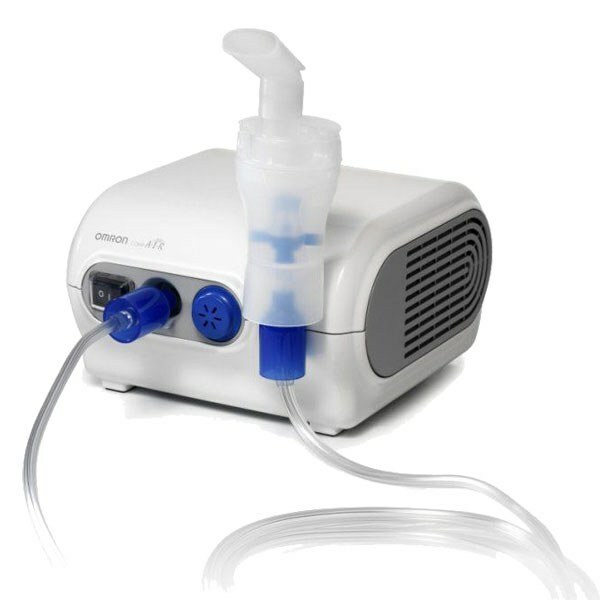 Advantage steam inhaler is that by passing the conventional treatments for the respiratory system, they can be used for cosmetic procedures at home, as well as their low cost - an average of 1000 rubles. the Main drawback that when heated, a large part of the drugs just destroyed. In addition, the possibility of use for children of this method is limited - it is difficult to get the child to breathe hot steam. Buy inhaler in simple drugstore or in the Department of medical equipment specialized store. When you buy should pay attention to included asthma were adult and children's masks, a special tip of the nose. The product must be certified and have a European standard of conformity. All components that make direct contact, should be available for disinfection. Any nebulizer is intended for use by the entire family. For example, adults drive away the fear in a child.